Hong Kong Fashion Week's coming near. 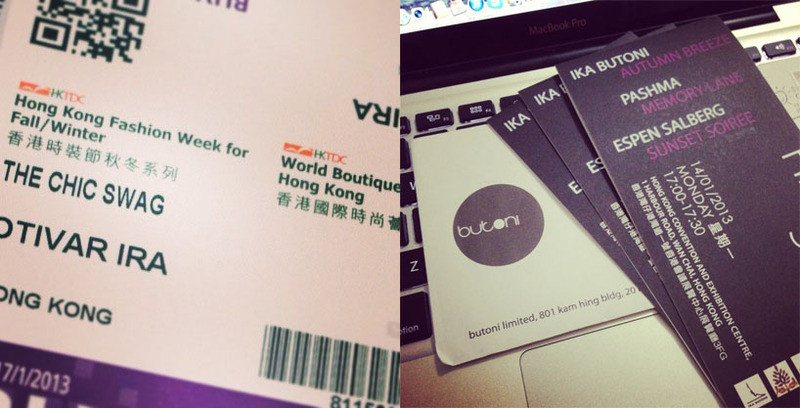 Received badges(thanks to HKTDC) and tickets(thanks to amazing designer, Ms. Ika Butoni) for the event already. Looking forward to see amazingness in Hong Kong fashion world again this season - the trade fair, shows and seminars.